Aqua Fun Boat Rentals is located just west of Hot Springs Village at North Shores Resort and Marina on beautiful Lake Ouachita. We offer half-day and full-day party barge and deck boat rentals. Our boats are all late model pontoon boats and deck boats with 4 stroke engines and include bimini tops, tow bars, ladders, stereos, and all the USCG required safety equipment. Absolutely the best you will find on the lake! 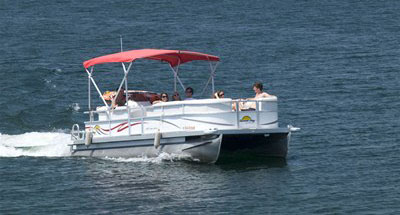 Check out our boat fleet and our web site and give us a call so you can reserve YOUR Aqua Fun! 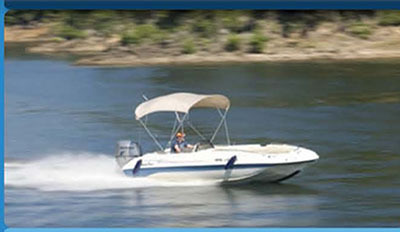 Perfect boat for those with little or no boating experience and those looking for the best value. 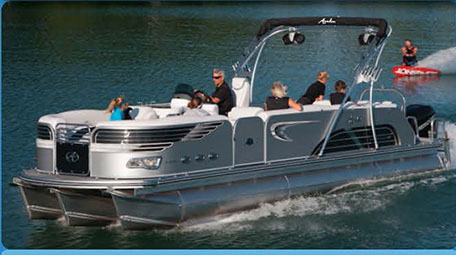 Great boat for those looking for a fast, smooth ride and the power to ski, wakeboard and tube. The best of both worlds! 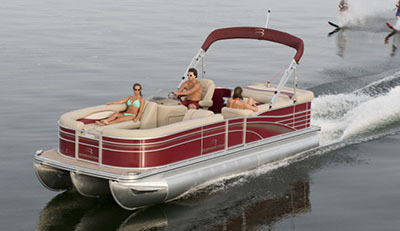 Lounge, sunbathe, ski, wakeboard, and tube in style aboard our luxury tritoon. The ultimate day on the lake! Luxurious seating, 200 horsepower at your fingertips, and the wakeboard tower make this our finest vessel.